Elegant ladies bamboo green leather shoes by German brand Marco Tozzi. These beautiful ladies shoes have been made using a quality leather and have been designed to ensure comfort and style. 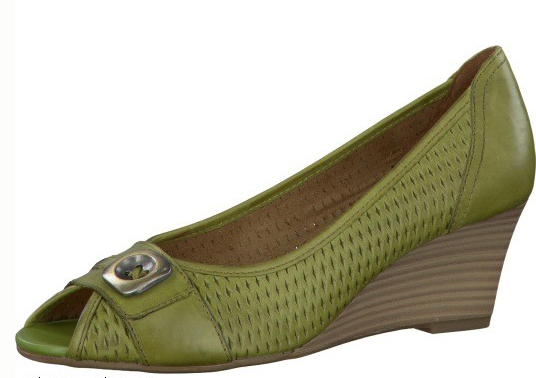 The shoes have a fashionable 6cm wedge heel giving excellent stability. Feature lattice detailing and an elegant buckle at the peep toe. A stylish ladies shoe which is great for during the day and can take you into the evening.